Blogging is hard |Sundews Etc. I was staring at my plants earlier, trying to think up a blog post, and I realized that I was having a hard time thinking of what to post about. I think that's because I've been sort of out of the posting loop, and that the good thing to do was to just post about some plants. So here they are. At the recent BACPS meeting I was given a chunk of a very cool plant, Utricularia babui. 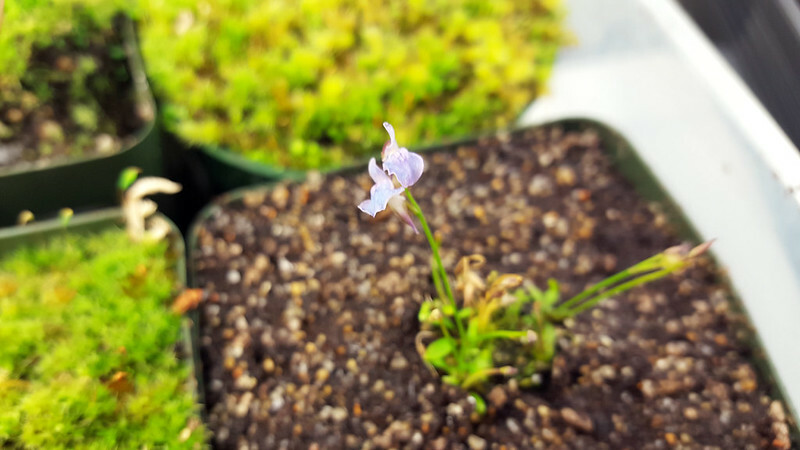 This utric produces blue-to-purple flowers that are shaped similarly to Utricularia gramnifolia. It's pretty uncommon, so I'm excited to have some. 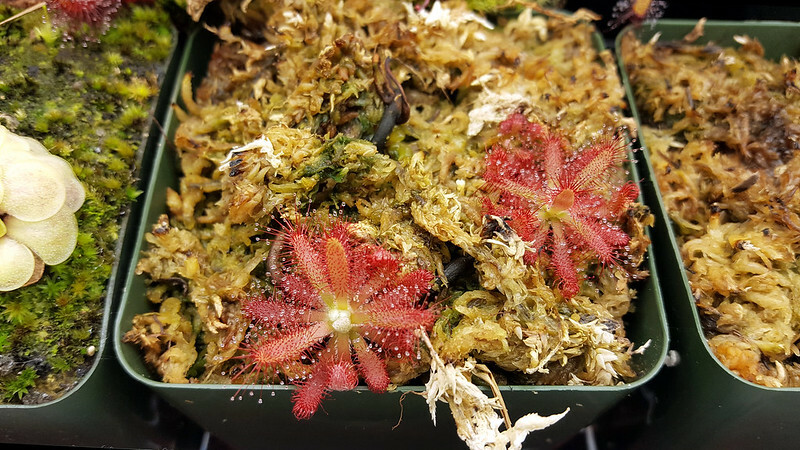 My Drosera graomogolensis have grown in a bit after a recent feeding. I should have started growing this plant a long time ago. Great color on these also. Such a pretty plant! 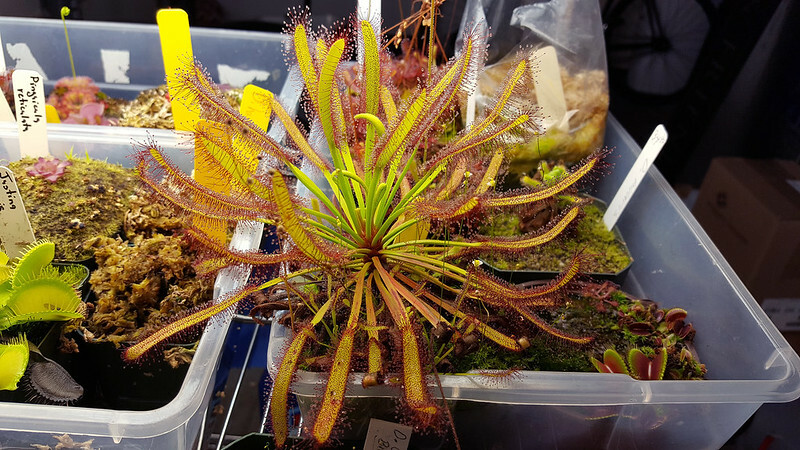 This big Drosera capensis is looking pretty good right now – especially considering that I dropped my light fixture on top of it a couple week ago. This is a wonderful clone. You can't even tell! D. capensis is such a trooper. 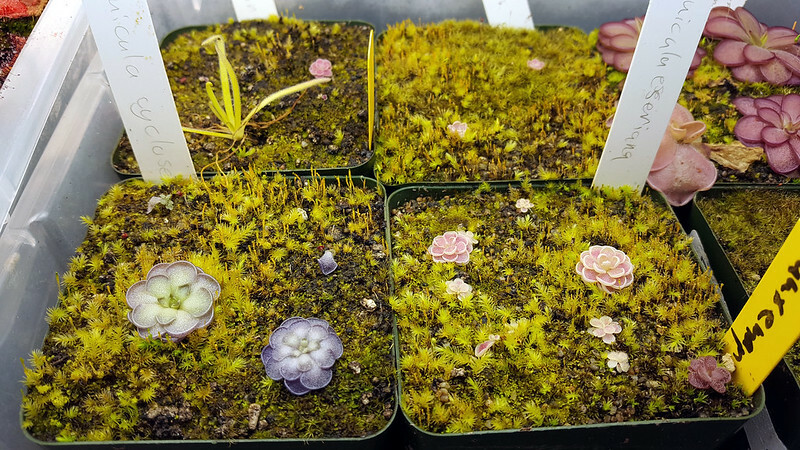 I've seen some size increase in my Pinguicula cyclosecta and Pinguicula esseriana. I took a couple leaf pullings, cause you should always be propagating. There's a lot of growing in to do still though. 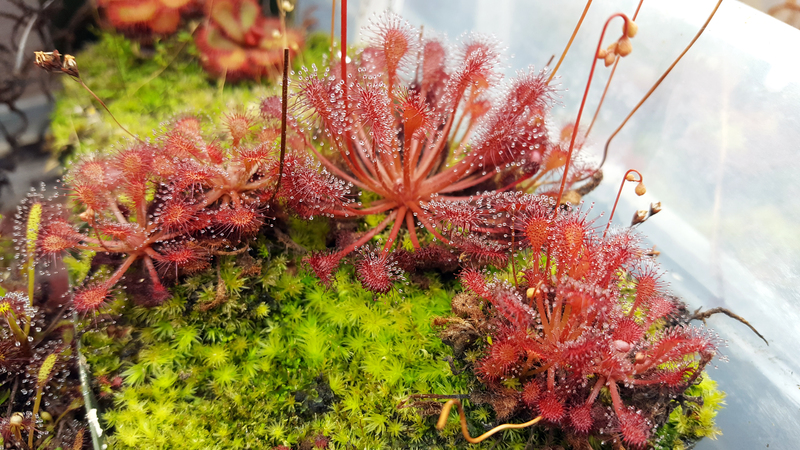 The Drosera barbigera have totally recovered from gemmae season and are looking awesome. Doesn't look like I'm having any gemmae-related attrition this year either, which is great. 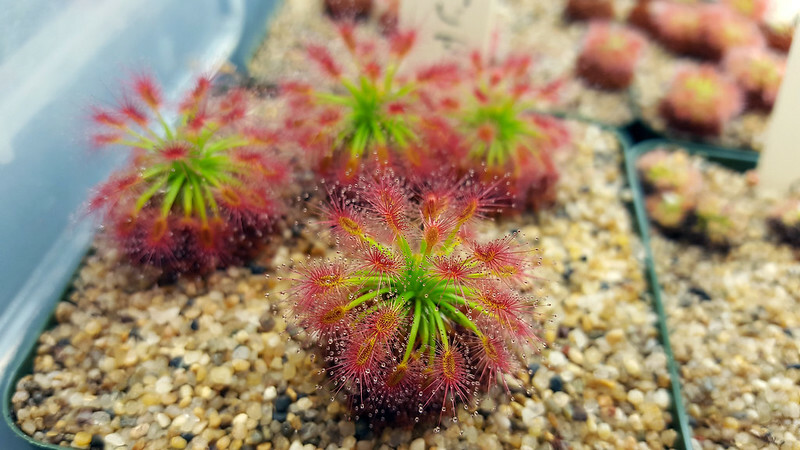 Finally, my long-arm Drosera capillaris are looking amazing right now. These are the ones from Tate's Hell Swamp, FL. Best location data. I've never heard of U. babui! Very interesting, can't wait to see how it grows for ya. I'll definitely be posting updates! I never care if your blog posts are themed or not. I love seeing pics of your plants! Wow! Utricularia babui! I would love to trade with you after it grows out. Absolutely! Give it a few months to grow in and then shoot me a line. Hello! I just dropped by and have to say that your plants are gorgeous! I'm curious though, what are those green plants with your CPs? are those moss? do you place them in or they just trow with the CP plants? Those are various mosses. Some of them come with the peat moss I use, some of them arrive along with plants I buy or trade. If you're growing for any amount of time you'll start to get all sorts of mosses. I wish I knew enough to identify them.